There has been coverage this week of comments by Transport Secretary Chris Grayling about the potential for increased farm productivity outside the EU. These comments were widely picked up across national media, including the Daily Mail, Daily Telegraph, Daily Mirror and Sun. The reactions of farming groups including the National Farmers Union and Farmers Union Wales have since been picked up by The Guardian and BBC Radio 4’s Farming Today. The government has been clear on its commitment to getting the best possible deal for the UK as we prepare to leave the EU, one which continues to allow us to have tariff-free, frictionless trade in goods and services. We have also been clear that we will strike new trade deals around the world to help farmers take advantage of the growing appetite for British food. Environment Agency teams are scaling back operations today, as the remnants of Hurricane Ophelia passes by with limited flooding impacts. Despite severe flood warning and alerts issued for southwest coastlines and parts of the northwest yesterday, today’s improved weather outlook means that teams are now focused on inspecting flood defences for damage and working with partners including the Met Office to monitor the situation. Teams are still prepared to support local authorities in dealing with surface water flooding incidents. Environment Agency communication teams are also continuing to promote personal safety messages online. Teams are calling for people to sign up for free flood alerts at www.gov.uk/flood or call 0345 988 1188. Remnants of the storm also resulted in an unusual red sky across England yesterday, thought to be as a result of dust from the Sahara. This was reported widely by media, including the BBC. The Independent reported concerns about health impacts from the dust, however air quality measurements in the UK are currently predominantly low and the forecast does not anticipate any elevated air pollution over the coming days. 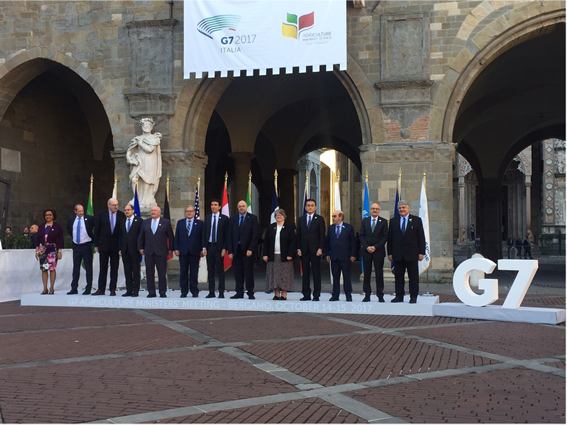 The Environment Minister Thérèse Coffey visited Bologna, Italy this weekend to represent the UK at the G7 Agriculture meeting, which saw leaders from around the world gathered to discuss the challenges facing the agriculture sector. The Environment Minister welcomed the agreement reached by the G7 to consider how improving rural livelihoods and driving global food security can support the needs of migrants. The Minister then journeyed to Rome to attend the United Nation’s (UN) World Food Day ceremony, an annual event commemorating the founding of the UN’s Food and Agriculture Organisation to promote issues relating to food security and sustainability. 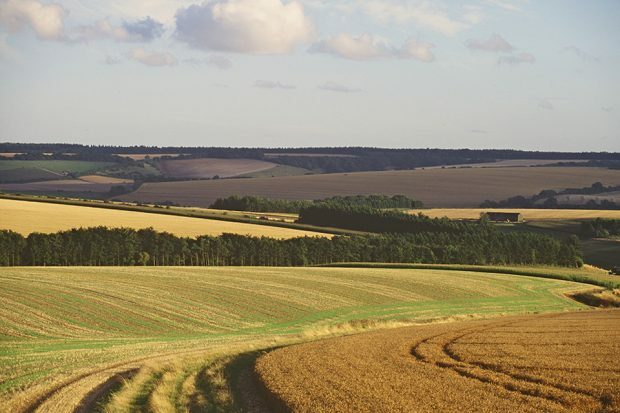 As a world leader in the food and farming sector, we are committed to working with other G7 countries to improve soil quality, drive sustainable farming methods and modernise food production – helping improve global food security and creating a cleaner, healthier environment. BBC Breakfast ran a piece highlighting the issue of backstreet puppy farms, where dogs are traded often on the internet, with scant regard for their welfare. The RSCPA are advising people to do their research before buying a puppy, including asking to see the puppy with its parents, as well as for copies of paperwork and vet treatment records. The Government is taking strong action to crack down on unscrupulous backstreet puppy breeders. Reforms we set out earlier this year will make it illegal to sell puppies younger than eight weeks, and anyone breeding and selling three or more litters of puppies a year will have to apply for a formal licence. Irresponsible breeders who don’t stick to these rules face an unlimited fine or prison. The rules on selling pets will also be made fit for the modern age, and anyone trading pets online commercially will need to be properly licensed. Earlier this month we also announced plans to increase the maximum penalty for animal cruelty to five years in prison to make clear that it will not be tolerated. This morning Environment Minister Thérèse Coffey was on Sky News discussing the work that Defra is leading to reduce the threat of marine plastic ahead of a new documentary launching tonight called ‘A Plastic Voyage’. This follows an all-female crew’s ambitious sailing mission around Britain to raise awareness of the impact of plastic in our waters. The Minister set out how we’re continuing to lead the way in protecting oceans and marine life – our 5p plastic bag charge has taken nine billion bags out of circulation, our upcoming microbeads ban is one of the toughest in the world, and we’re now exploring the benefits of reward and return schemes for plastic bottles. 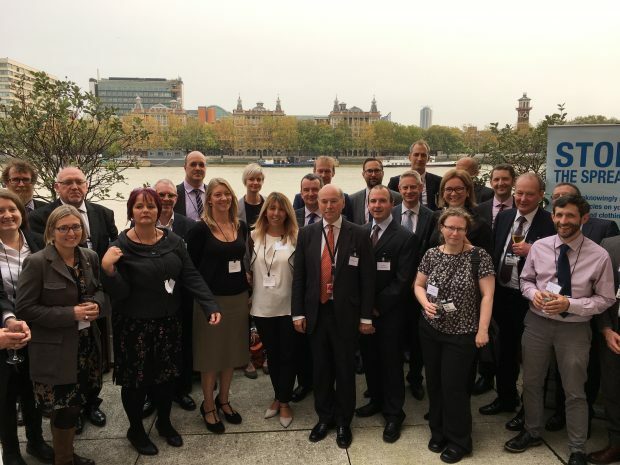 Lord Gardiner met with water companies and partners at a House of Lords reception yesterday to celebrate the work of the Check Clean Dry campaign. The scheme aims to stop the spread of invasive species such as floating pennywort and water primrose. It was developed in partnership with key stakeholders including the Angling Trust, Royal Yachting Association and British Canoeing to encourage recreational water users to follow good biosecurity practice and prevent the spread of this species and other invasive aquatics. Since 2011, over 75,000 leaflets and 2,700 biosecurity signs have been sent to angling, sailing and canoeing clubs across the UK. Invasive species threaten the survival of our country’s native plants and animals and cost the economy at least £1.8 billion a year. The Check, Clean, Dry campaign plays a key role in raising awareness of these threats; preventing new arrivals, and stopping the spread of these species. It is great to see water companies supporting this programme to protect the future of our native species. By working together we can make sure more water sports enthusiasts know how important it is for them to check, clean and dry their clothing and equipment. Healthy rivers and lakes are vital to our economy and wellbeing, which is why it is so important to reduce the spread of aquatic invasive species. Water company support in promoting the check, clean and dry campaign is a welcome boost.